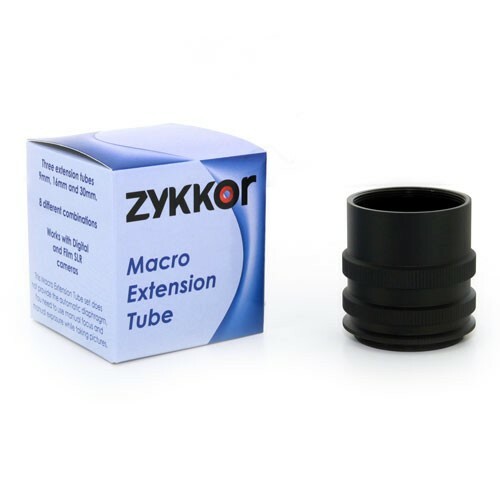 Zykkor Macro Extension Tube Set for M42 mountMacro Extension Tube set for SLR cameras with M42 lens mount is composed of 3 extension tubes - 7mm, 14mm, and 28mm with male and female M42 screw mount adapters. Mount the tubes between lens and camera body to get your choice of macro ranges - 8 combinations in total. Mounting Extension Tube in between the camera body and lens will create more distance between the lens and film plane. By moving the lens further away from the film or digital camera sensor, the lens is forced to focus much closer than normal. The greater the length of the extension tube, the closer the lens can focus.Use this set with your normal lens and you will get the quality, which is as good as the original lens and the size, sharpness and versatility is perfect for the macro and close-up pictures.With all M42 mount lenses you will need to use manual focus and manual aperture while shooting. 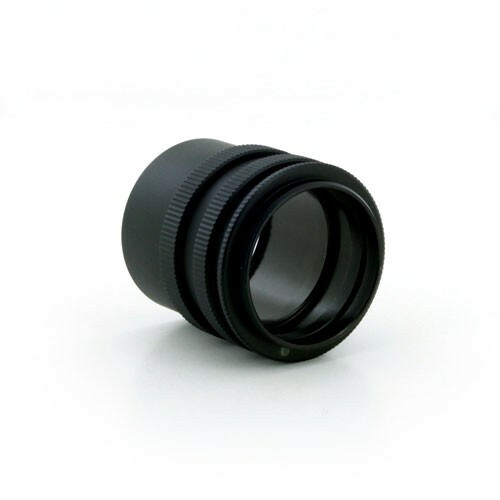 Please make sure that your M42 lens has a switch or button to put the lens into stop-down mode, commonly referred to as the Auto-Manual or A/M switch.This Extension tube can be also used with the modern Digital SLR cameras with M42 lens and M42 adapter for your camera body. 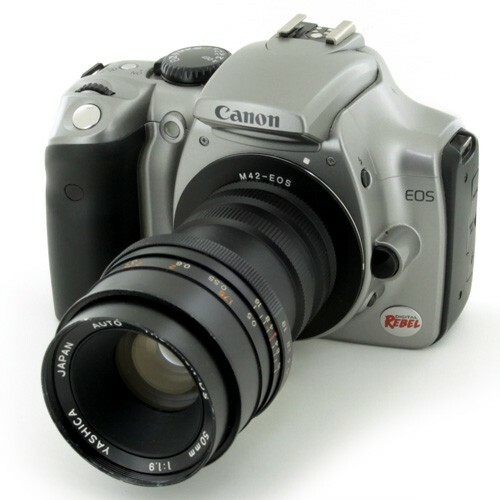 For example on Canon EOS cameras, you will need a M42-EOS adapter and M42 lens with Auto/Manual aperture switch. 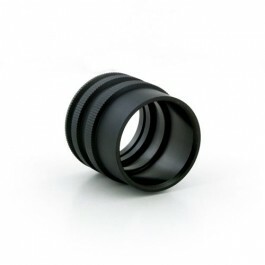 Please see our listings and store for M42 adapters for your DSLR camera.